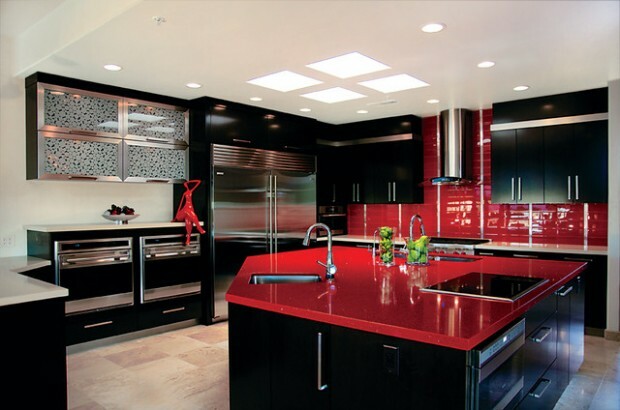 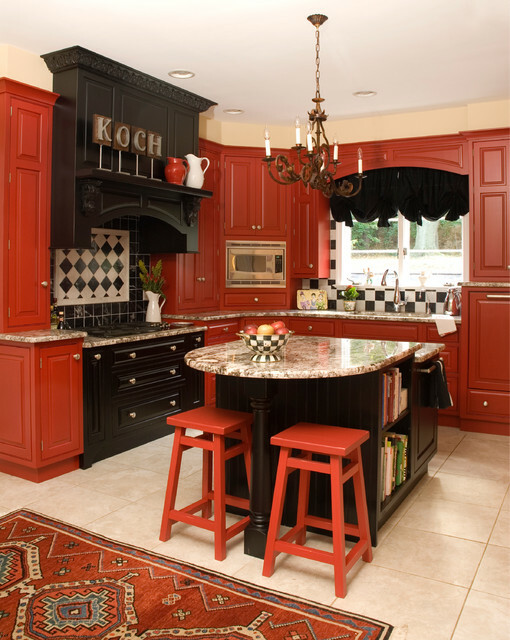 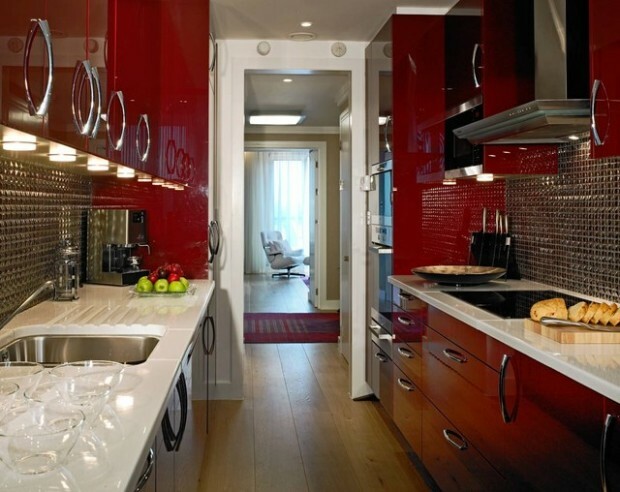 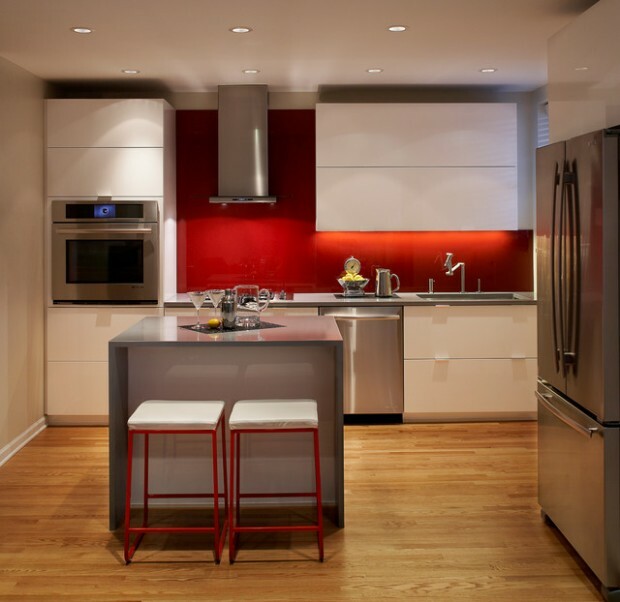 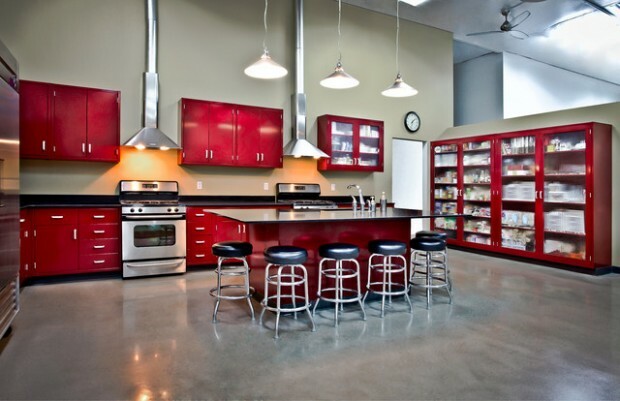 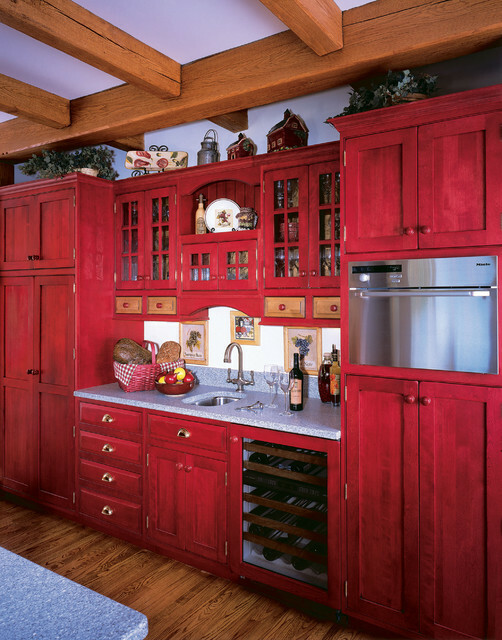 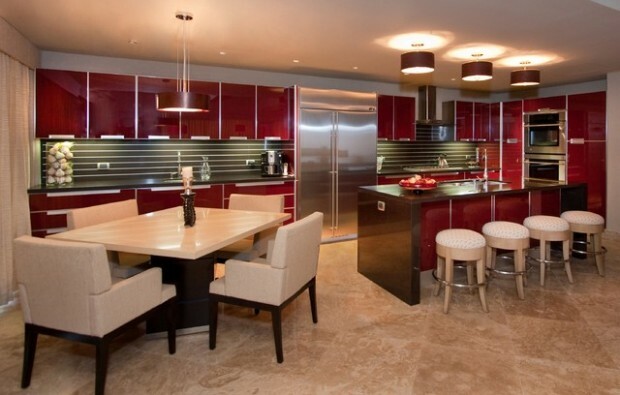 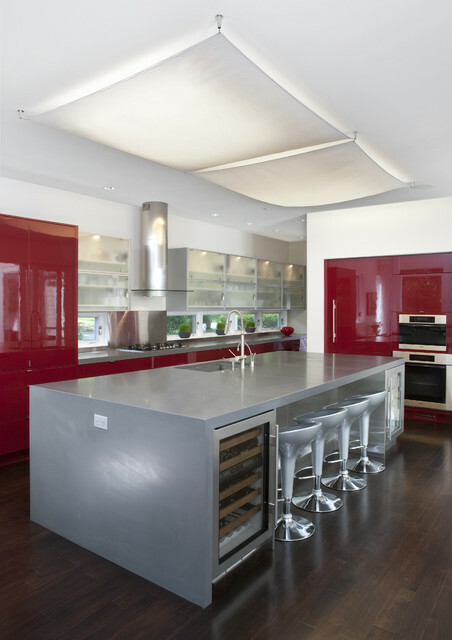 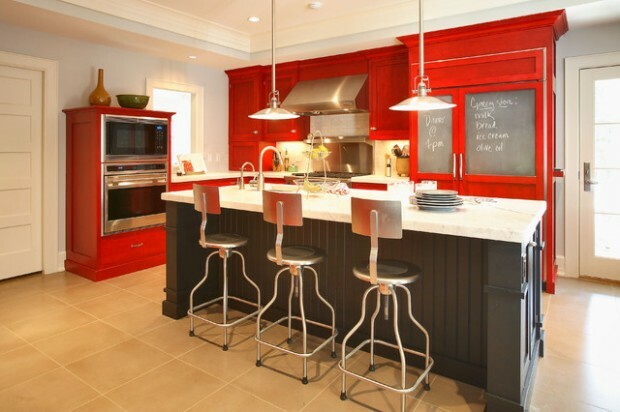 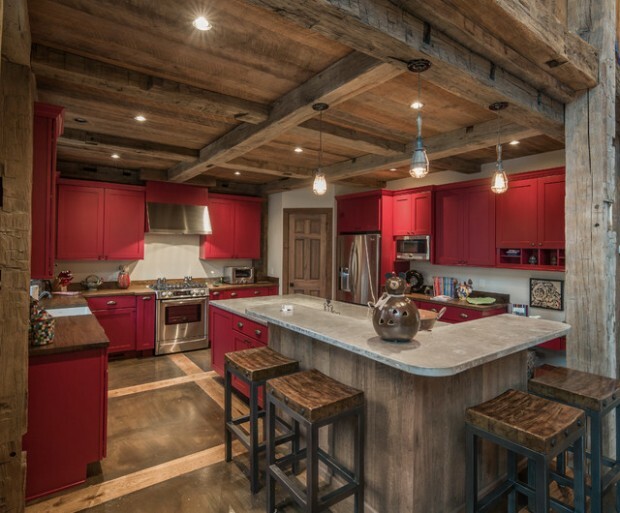 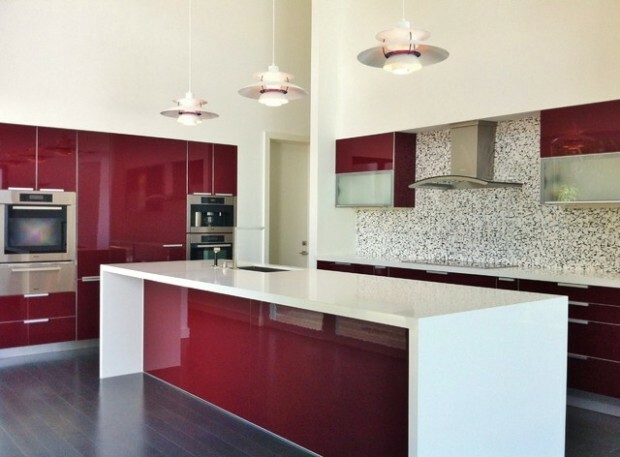 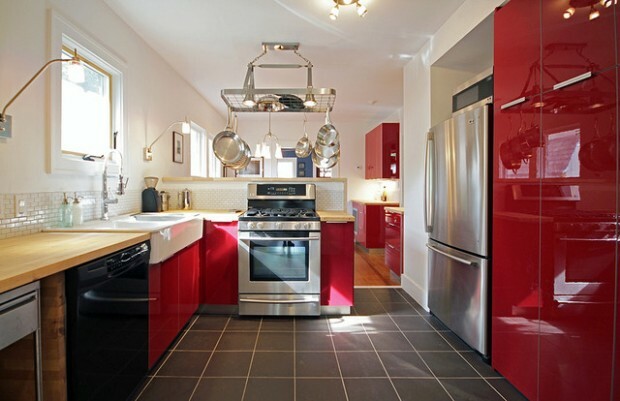 Red colors bring vibrant energy and striking accents into kitchen design and decor. 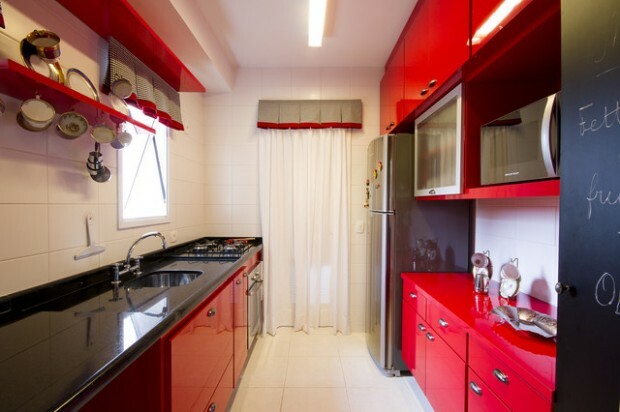 Red colors are exciting and powerful. 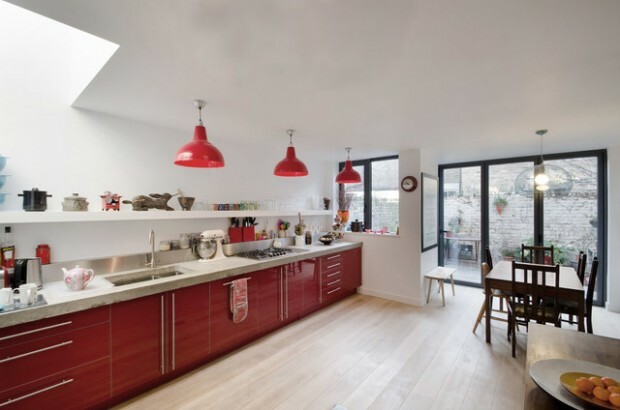 They add fun to functional interiors designed for cooking. 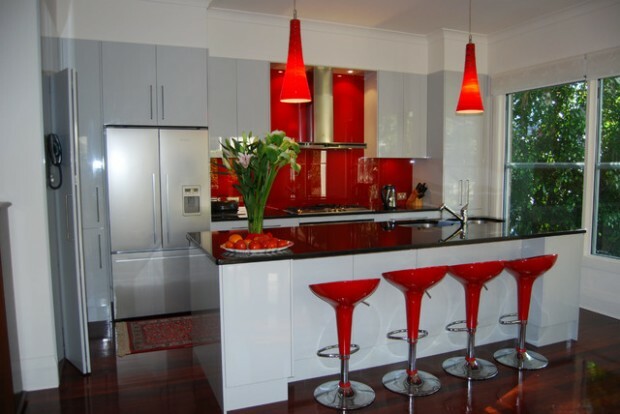 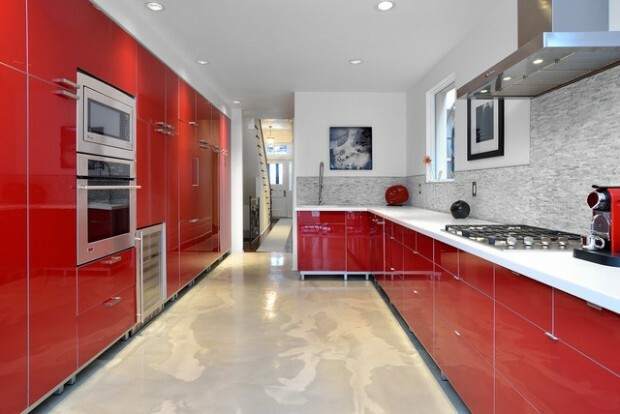 Today we will be showing you 19 pictures of kitchen designs with a dash of red here and there to accent the room. 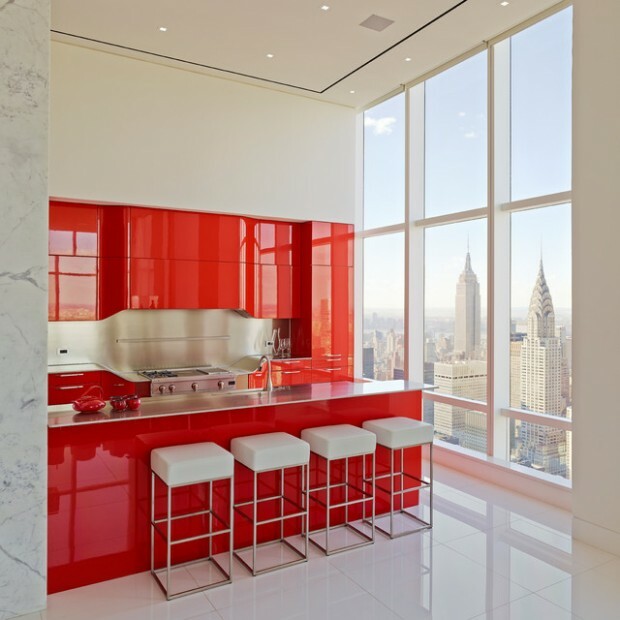 Red is a signal color, with a strong personality and attraction potential. 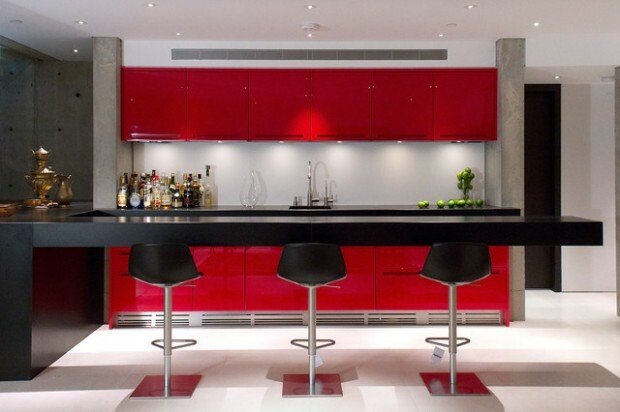 Red is also thought to stimulate hunger — which is why those very stylish restaurants that wow us with their stunning decor use these simple rules of color psychology in their design. 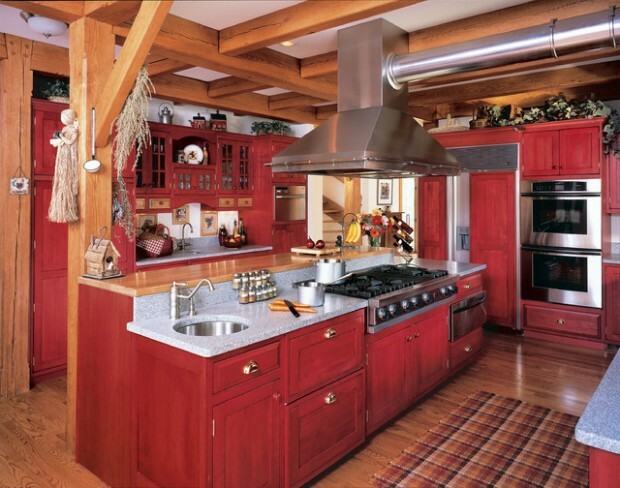 From retro to rustic, spice up your kitchen with one of these decorating ideas in shades of red.